This was a great experience for me because I was able to learn lots at work and travel around in Europe for the first time. I worked with Ruby on Rails for the backend projects and EmberJS for the frontend. I was able to work and lead a project by myself and the best part is that they used two of my projects to actually help the company gain more revenue! The work was challenging and I was able to help with the design process as well. 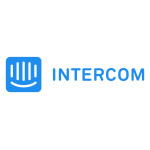 I would definitely recommend Intercom as you'll get to work with some really amazing and fun people!